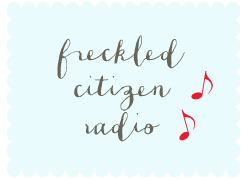 Freckled Citizen: CSN Giveaway for any room in your home! When CSN Stores contacted me about hosting a giveaway, I was excited for you all - who wouldn't want cash to spend at any of CSN's 100 online stores? CSN Stores carry everything from a platform bed to lighting to "cat condos" - variety is not an issue. Of course I can't host a giveaway without thinking about what I'd do as a giveaway winner myself. Because I'm a sucker for all things kitchen (and my wish list contains many pricey items), I'd take my winnings and go straight to CSN's cookware store, where I'd mull over three of my favorite brands: Le Creuset, All Clad, and Shun. My final selection would be a big-ticket item made a little less big-ticket by a CSN gift certificate: a Cuisinart Elite food processor. 1. Are you a "pick out a $45 item" kind of person or an "apply $45 toward something big" kind of person? 2. What would you get? 3. Make sure your e-mail address is included in the body of your comment or in your blogger profile - if you win but I can't find your address, I'll pick someone else. The contest is open until 11:59 p.m. on Thursday, October 7, at which point I'll randomly select a winner using random.org. I'll announce the winner on Friday morning, before I jet off to Boston for the weekend. Good luck and happy shopping this week! I think most of the time I would be a pick and Item that is close to the amount of the gc but there are times that I would purchase an item over the amount of the gc. There is an office chair that looks comfortable and it is over the amount so it would be a put towards the purchase. I would apply the $45 toward a Le Crueset 6-piece set in the light blue Caribbean color. I have salivated for it for 3 years! Have to admit to being apply to something bigger kind of gal! Liking the look of the Cuisinart crock pot! it totally depends on the item! we are thinking about getting a puppy soon, so everything in the dog section looks like fun. lonnapea at gmail dot com. I'm a make a big purchase a little smaller kind of person. I'd buy a new car seat for my daughter, as she's growing like a week! Thanks! I am a follower of Dave Ramsey. I would pick something as close to $45 as I could. I'm a sucker for anything in the kitchen! Ooohh! I'd have to apply the $45 to a larger purchase. Probably something in the kitchen department. Oh how exciting! I'm in dire need of a new set of chef's knives, so I would apply the $45 to that. I didn't know about CSN Stores until now... I'm going to be browsing all morning! I'd apply the $45 to a larger purchase and would totally buy the Cuisinart Elite Food Processor you showed. I make my daughter's baby food and have recently come to terms with the fact that my food processor is on it's last leg. Oh I'd spend it all at once on a loaf pan that I have been eyeing!! i'm normally a "pick a $45 item" kind of girl, but i could really use some nicer new kitchen items, so maybe apply it towards a cuisinart or a lovely piece of all-clad cookware. I was going to say that I'd use it to get a small kitchen funnel and a food scale because those are items I want for the kitchen but never remember to buy... which could easily come in at $45, but then I saw an Alessi stovetop espresso maker that I'd want, which would be a bit more. So I have no idea! Sometimes I'm a get $45 person and other times I would use it to take the sting out of a more expensive item. I'm more likely to just get $45 with a $45 certificate. But if I have a large certificate, I'm more likely to use it on an even larger item. Does that make sense? No? Maybe? I would maybe get some paintable beadboard wallpaper, if it ever stops saying "Out of stock." 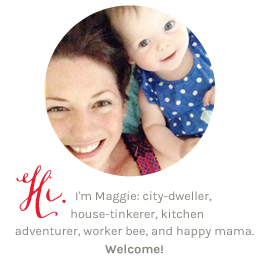 My email is visible through my blogger profile, but since you said you need it here: tammigirl at gmail dot com. I'm a pick out a $45 item! Might as well not spend any of your money, right? I am in dire need of a mid-sized stockpot. I'd apply that certificate quicker than, um, well, certainly quicker than water boils in my current stockpot arrangement:). Like you, I'm more likely to apply the $45 to a larger purchase. 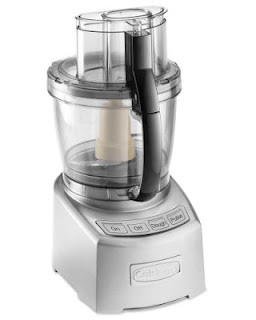 I would love an emulsion blender to make soups and sauces this fall - so I'd probably put the money towards that. I'm totally a "get $45 and apply it to something" kind of gal. And, funny that you put that picture up. I want a food processor! I have a 3 cup one, but that just doesn't cut it! I'm definitely going to be applying it to something big! I've been looking at the SodaStream for awhile now and winning this $45 would be the final push I need to add it to our arsenal of kitchen tools! I'd totally apply the money towards a piece of Le Creuset- no question!! i would probably stick to the $45 and make it work- it's fun to see how close you can get (with shipping, too) without going over. :-) i'd like a step stool made by little colorado. I'm usually a get as much as I can for $45 kind of girl! :) With this, I'd get a new tripod for my camera! Thanks for hosting the giveaway! I would put it towards something big! Thanks for hosting the giveaway! I would apply the $45. I am looking for some cookware. I like to buy something that a gift card will completely cover-I love free!! Parinda Calla Lily Handbag in Black. Well, you know I'm hankering for a FP... and you officially have me back in the Cuisinart camp! But I'm also really, really wanting some Tangerine Fiestaware! It'd be a toss-up... and the other item will be front and center on my Christmas List! I would put the 45 to something bigger,I think.It really just depends on what I want. I would use it towards something around that price range but wouldn't mind going over $20, $30 bucks! I would cut it off at $45- I'm cheap. I'm looking at the BBQ covers for winter. I would probably get a $45 item BUT if there was something I really needed, I would certainly apply it to that! Right now I have my heart set on getting the GamaSonic Atmosphere Color Changing Bowl! as far as what i would buy, it would *not* go in the kitchen as we have zero space for anything else. maybe some new sheets for the guest bedroom? we've had so many visitors since we've moved here and i'd love to spruce up the room. but not too much because i sort of like my weekends to myself. I'd apply it towards some baby items we still need before our first little in December. I think I'd go with a swing or playpen. If I were sticking to my budget I would just get something $45. But, considering I have been wanting either a new duvet for the bedroom or a better coffee/espresso machine - I probably would apply the $45 to something bigger! I would totally have to put the $45 bucks to a bigger purchase. I'm jonesin' big time for an orange Kitchen Aid mixer.. I would put the $45 towards a fancy schmancy espresso maker! It all depends on what I am in need of at the moment. If it was an item I planned to get anyway, I would apply the money towards it. If it was just something I wanted but didn't necessarily need, I would probably buy something for the amount of the gift cert. Most of the time I'd apply GC moolah towards something big. This time i'd apply the $45 towards getting the Cuisinart Panini & Sandwich Press! In this case I am a pick out a $45 item, I would put it towards a new hydration pack for hiking and the item is $40, so it works out! I'm an apply towards something big. I've had my eye on all-clad for a while, and this would help push me over the top. I would use it towards a step 2 waterwheel table for my daughter for her birthday! So I guess that means I would find something close to the price.